Rural areas provide a fresh canvas inwhich beautiful paintings can be etched without the adulteration that comes with the bright lights of the city. This is the environment that feeds into fashion designer and singer Zanele Ndlovu (25)’s muse. Zanele has lived in various places but finds inspiration from the sprawling hills and chirping birds of Timbavati in Mpumalanga. “I developed my love for designing at a very young age. That was before I even knew what it was. I was young when I started off designing clothes for my friends’ dolls.” she remembers. After completing her matric, though talented she struggled with finding her feet. “In 2011 I enrolled at Vaal University of Technology to upgrade my skill, however my ambition to pursue fashion academically didn’t last since I had to drop out due to the difficulties I had to face in a place far from home” Zanele reveals. “Today I find inspiration from simple things to do what I love the most. I am inspired by seeing the end product of what I envisaged, which is what keeps me going. 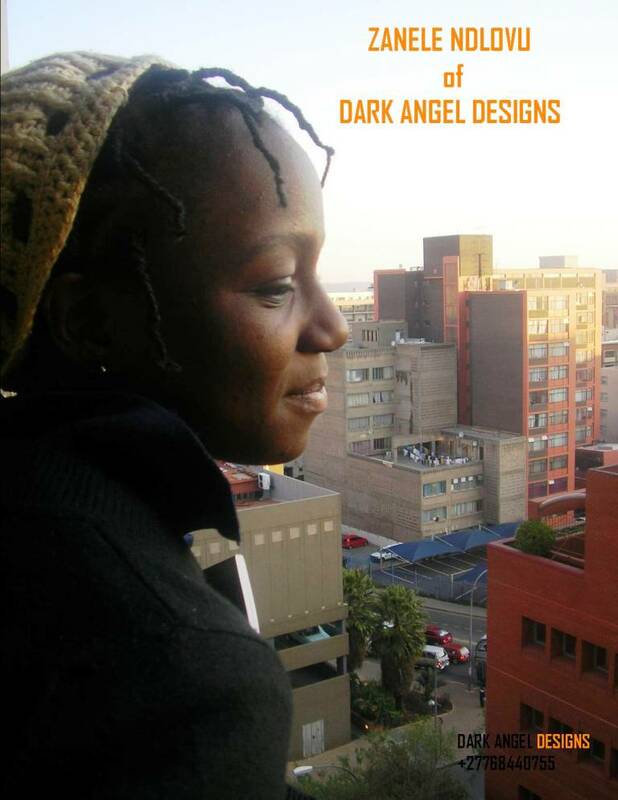 Being a creator is the most fulfilling occupation I could indulge in, since for that moment I am a god – a creator and can marvel at the beauty of my work.” Zanele is a girly-girl with two sisters and a brother who all have ‘real’ jobs. What complicates her aspirations is that she’s also a talented singer with a free spirit. When she lived in Pretoria with friends she used to design clothes and handbags while also redesigning outfits they already had. In her daily life she is surrounded by an equally talented nucleus of friends who are either poets, musicians, writers or fashion enthusiasts. “During my year at VUT I met Buhle, a dear friend who is a developing designer I hold thumbs for in the SA fashion industry. She is currently doing her second year. I was impressed with her drive to obtain her degree whatever the cost, her neat work and the perfection she puts in each garment she makes” Zanele who also makes home accessories such as cushions, curtains and bed spreads relates. 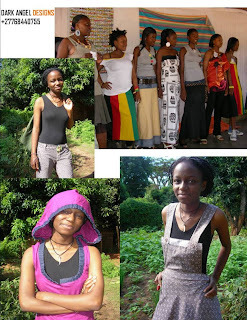 For somebody who found academia too restricting Zanele’s thumbsuck designs do not give away the secret. She admits that her style is largely informed by the fashion she sees every day, which influences her to recreate and redefine existing fashion to her own taste. Zanele’s label is called Dark Angel Designs and while the name has a gothic ring to it her designs are colourful and gay. “I hope that in the next few years my fashion label will be embraced by a bigger market than I currently have. I would love to have my own fashion house where I’m able to dream up designs , create them and have them available to fashion consumers”, she concludes. Incredible! I'm genuinely enjoying the design and style of your blog. Are you using a customized theme or is this freely available to all individuals?